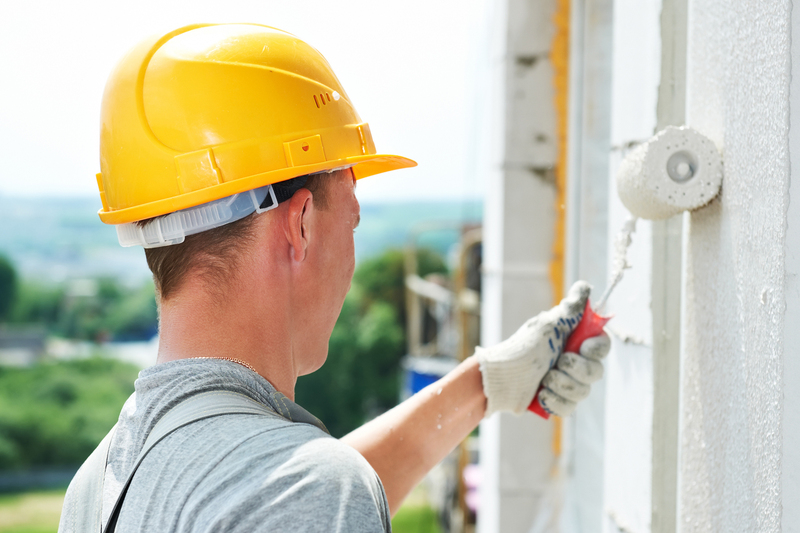 Whenever a home or building is built, nearly all of the interior and some of the exterior surfaces need to be painted to protect them from damage by water, mold and corrosion. Painting and maintaining painted surfaces improves the appearance and increases the value of a house. There is always great demand for experienced painters. Applying paint to interior walls makes surfaces attractive and vibrant. In addition, paints and other sealers protect exterior surfaces from damage caused by weather, sunlight, and pollution. Because there are several ways to apply paint, workers must be able to choose the proper tool for each job, such as the correct roller, power sprayer, or brush. Choosing the right tool typically depends on the surface to be covered and the characteristics of the material applied. Painters should be able to stay physically active for many hours, because they spend most of the day standing with their arms extended while climbing ladders. Painters must be able to identify and differentiate between subtle changes in color. Painters must lift and move numerous items during the course of a job. For example, a 5-gallon bucket of paint weighs over 40 pounds. Workers who paint the inside and outside of residential homes often interact with clients. They must communicate with the client, listen to what the client wants, and help select colors and application techniques that satisfy the client. Painters must be precise when creating or painting edges, because minor flaws can be noticeable.